The San Antonio River is home for many species of wildlife. 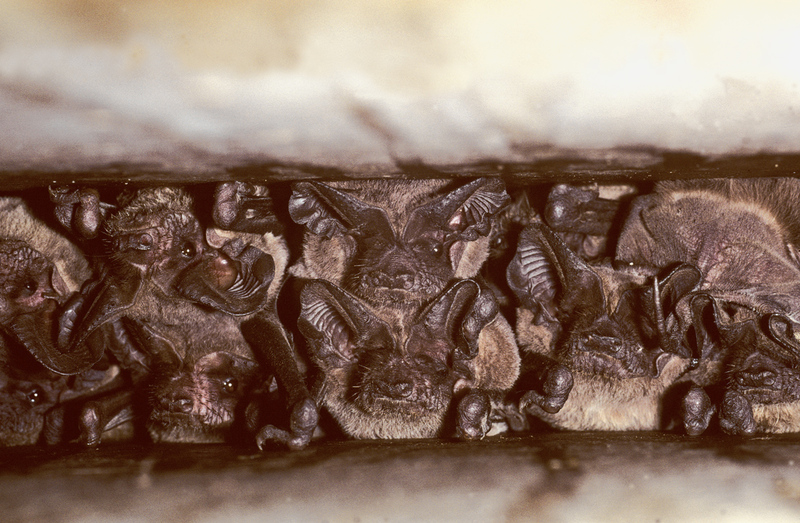 Nestled under the I-35 Bridge where it crosses the San Antonio River near Camden Street, a colony of approximately 50,000 male Mexican free-tailed bats roost during the summer months. Located along the Museum Reach segment of the San Antonio River Walk, the expansion joint under the concrete bridge is the perfect home for these nocturnal mammals who thrive on tight, cozy, and warm spaces. 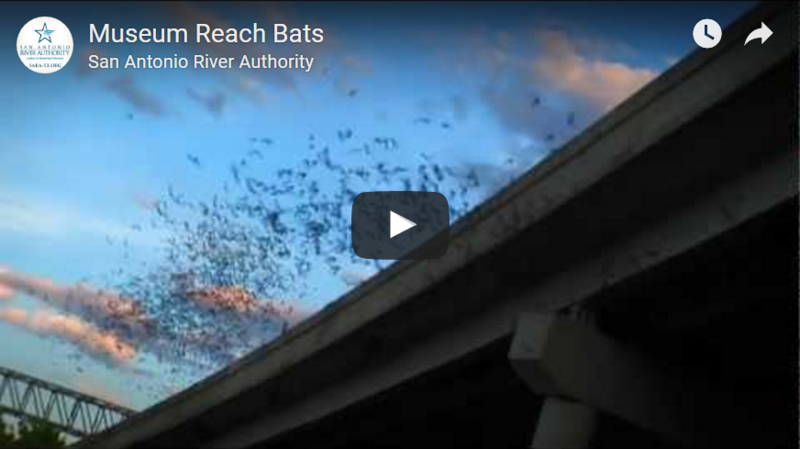 The colony’s close proximity to the water of the San Antonio River gives the bats an open area to glide through when they emerge for their nightly feedings of agricultural pests. The Museum Reach segment of the River Walk, from Lexington Avenue north to Josephine Street, is approximately 1.3 miles and provides a hike and bike trail, public art installations by world-renowned artists, elegant water features, and access to restaurants and shops. The San Antonio River Authority (SARA), in partnership with Bat Conservation International (BCI) and Texas Parks and Wildlife Department (TPWD), hosts annual “Bat Loco” events at the intersection of Camden and Newell streets to highlight the bat colony, educate the public about the importance of bats, and spread awareness of bat conservation. The annual “Bat Loco Bash” in August concludes the event series with live music, food trucks, educational booths, kids’ activities, and, of course, the bats! 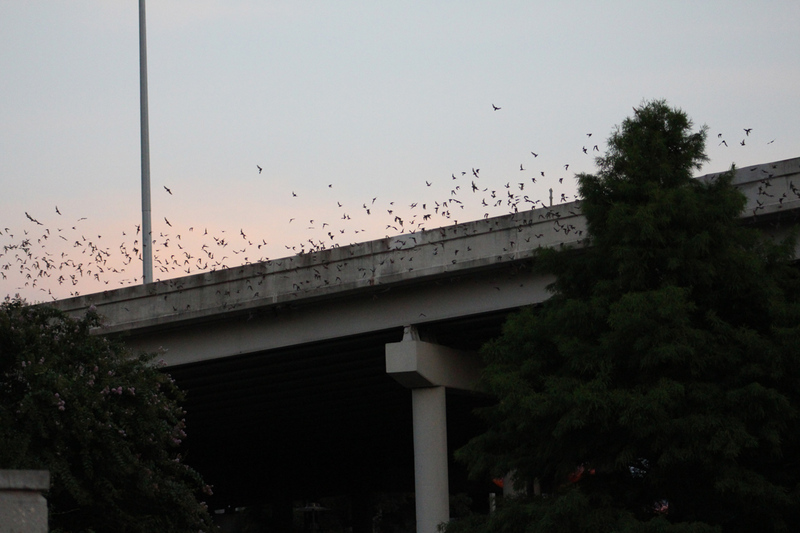 Bats emerge from Camden Street Bridge in San Antonio. 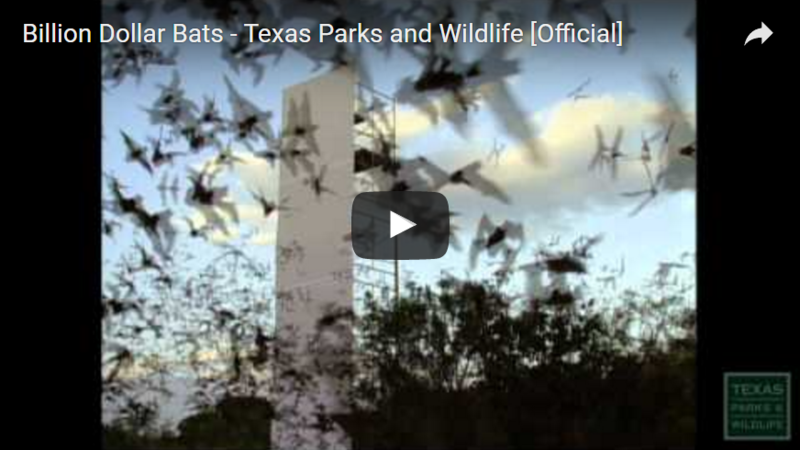 Located on the Museum Reach of the San Antonio River in the heart of downtown there is a colony of Mexican Free-tailed bats learn about them in this exciting video! Video: San Antonio River Authority. Bats are reviled by some, and treasured by others. The more we learn about bats the more we appreciate them. Follow some scientists as they study the economic impact of bats through the use of radio telemetry and thermal imaging. Video: TPWD. 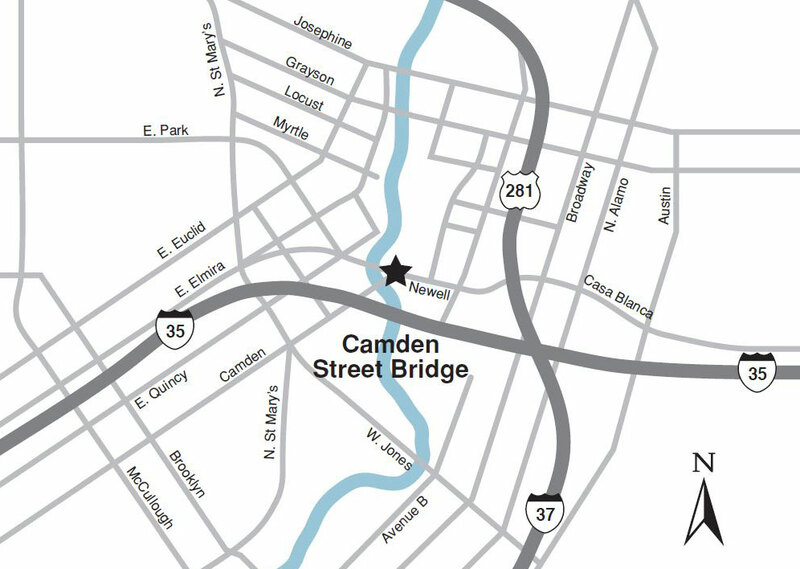 Best viewing location is on river level at the intersection of Camden Street and Newell Avenue. 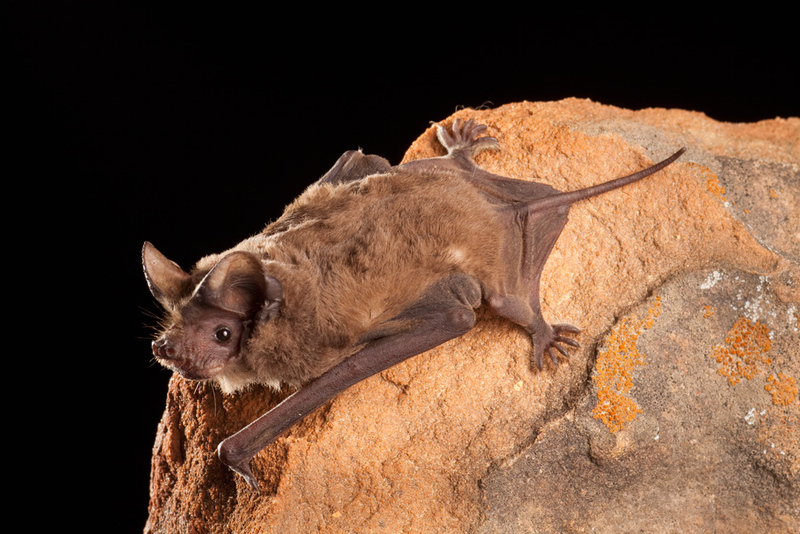 There are over 1,300 different kinds of bats found in the world and 32 bat species known to occur in Texas.